My ball and chain (ie the MacBook) finally returned from her date with a Mac Genius (Apple's ego-stroking term for tech support personnel). WOWSERS. The last time I was away from the internet for this long (excluding the first 16 years of my life), I was working for Uepi Island Resort in the Solomon Islands. Oh, my dear blog, how I've missed you!! Circa 2005 - man....what a summer. 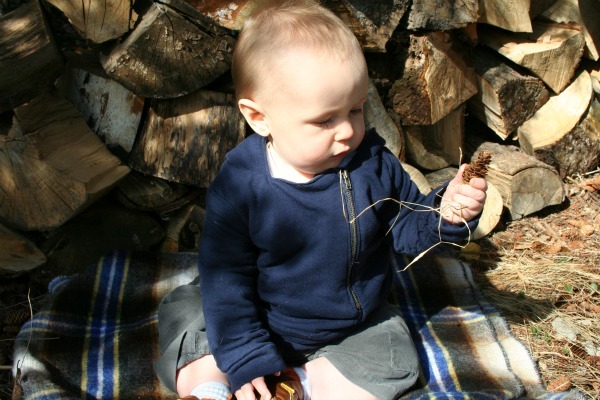 I was very happy to be introduced to The Boy Trifecta; a blog by a mum of - you guessed it - three boys. 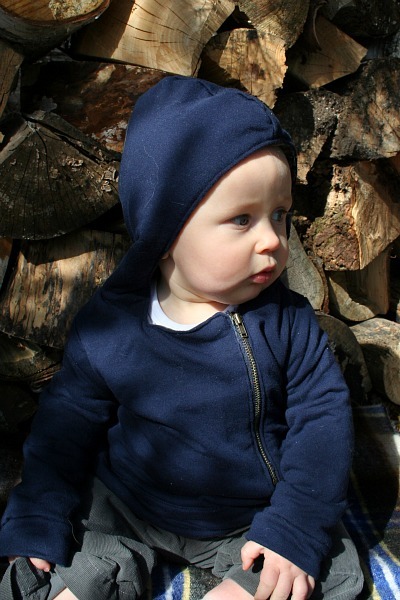 It's were I discovered the Urban Hoodie pattern from Heidi and Finn. 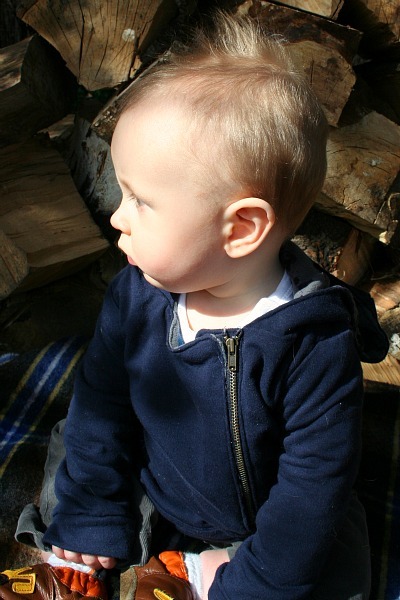 The timing was perfect for it to be bumped to the top of my must-sew list; Rowan was growing out of his snowsuit, but he still needed something cozy to wear. Spring in Southern Ontario = mild and sunny one day and snow the next. Sadly, I'm not exaggerating. 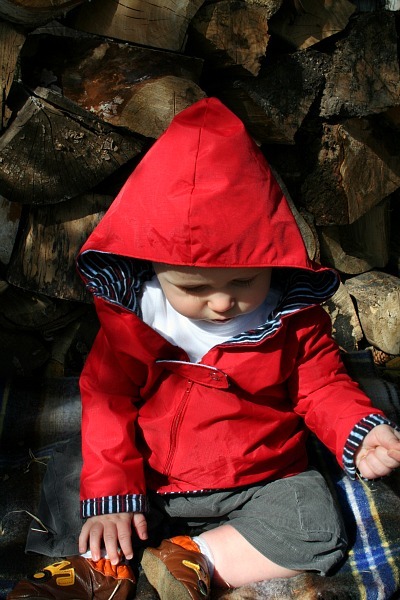 The photos of R-man in the hoodie/raincoat were taken on Friday afternoon. Today at noon, there remains evidence of yesterday's snowfall. 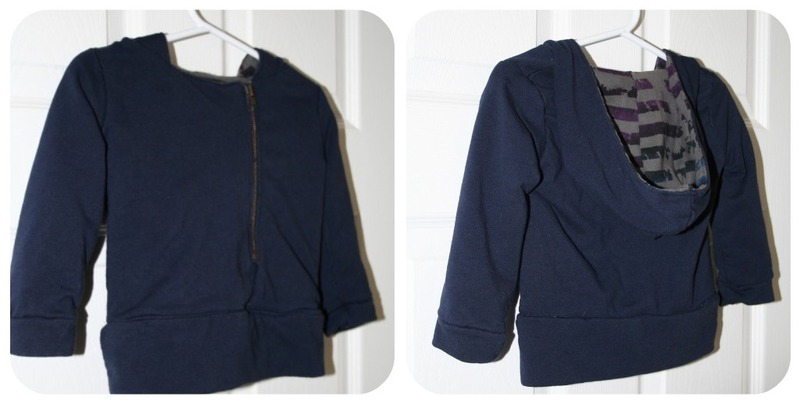 I decided to use Emily's tutorial and add a zipper instead of buttons. Mine didn't turn out quite as nice as hers (zippers and I have only recently come to an amiable understanding), but I certainly don't lose sleep over it. 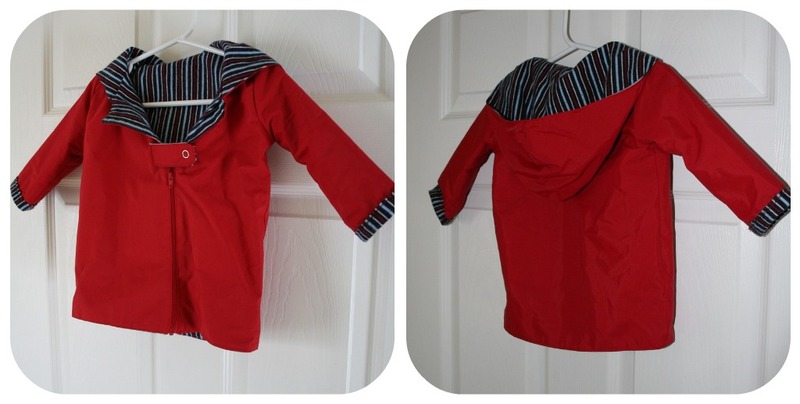 At the end of a long, cold, rainy day I decided that Rowan needed a raincoat too. 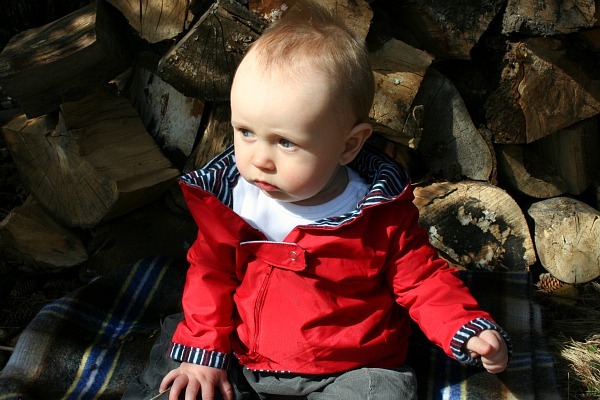 While the blue hoodie is made of a light sweatshirt (knit) fabric, the raincoat is nylon with a flannel lining. I realize the design is not the most waterproof, but it doesn't really have to be. I couldn't come up with a realistic scenario that would require him to endure pouring rain for more than 2 minutes. Same pattern, just tweaked it a little by lengthening the body and foregoing the bottom trim. I wish I had cut the material before purchasing the zipper, because it (the zip) ended up being too short. To make up for that oversight, I added a snap closure. Yes, I know I could have postponed finishing it in order to purchase a longer zipper, but....it was 11pm and I didn't want to stop on account of a technicality! Besides, he'll grow out of it in two months and I'll have a chance to do it all over again! Hi Carla, thanks so much for the kind comment! I'm still working on my sewing skills, so it's nice to have a muse :) I checked out your blog, your creations are beautiful!